While all designers should have each of these skills in some measure, not all designers are alike. A designer must be both creative and pragmatic. He or she must have an artist’s eye for shapes and color. The designer must be able to envision the space being designed, and to anticipate the traffic patterns, airflow, and seasonal changes. In addition, the architect or designer needs to know the rules and regulations to be met in a given jurisdiction and have an accountant’s expertise for balancing budgets. As if that were not enough, the designer must also conceive a design that suits the sub­jective tastes of the client. In deciding which professional you need, a key considera­tion is the complexity of your renovation. One that involves structural change should be reviewed by a licensed architect or engineer who has been trained to resolve the special problems presented by removing beams, opening up cathedral ceilings, or otherwise changing the skeleton of the building and thereby shifting the loads it must bear. Architects and designers alike consult structural engineers when the going gets complicated, but if you are thinking of using a designer-draftsman, inquire whether he will consult an engineer if your design involves out-of-the-ordinary or outsize shapes. How much design help do you really need? For small jobs, design help may be an unnecessary luxury. An experienced carpenter who has done dozens of similar jobs may have the necessary design skills to see you through a wide range of basic remodeling. On the other hand, a good architect or designer has design experience to draw upon. When you look at a rabbit warren of tiny upstairs bedrooms in the old house you just bought, you may understand intellectually that there are many possi­bilities there. But the professional may see immediately that the addition of a dormer here, the removal of a wall there, and presto, in his very mind’s eye, a brightly lit stu­dio appears. To you, there are possibilities you can’t quite see; to the architect, it’s a matter of developing a clear image that can be put on paper. Then you get to review the possibilities. The bottom line? If your project is very straightforward and requires essen­tially no imaginative brainstorming, you may be quite satisfied with the standard structure your contractor offers to build for you. But if you want something out of the ordinary, you need a professional to guide you in the design of your new house or addition. And sometimes design professionals pay for themselves simply by helping you avoid costly mistakes and assuring that you get what you want… not what you think you want. How Much Will a Designer Cost? Follow this advice and stay informed when settling designing costs. The title “architect” conjures up in many people’s minds fancy designer houses, monumental homes out of the pages of Architectural Digest. And, yes, it’s true, people with a great deal of money often hire architects. But it isn’t true that you have to be rich to afford an architect or designer. The designer/architect is paid to perform several different tasks. You will be paying the designer to learn your house, your needs, and to develop a program for your renovation; for him or her to execute preliminary drawings for your review; and then to execute finished drawings once you are happy with the approach. The last part described is roughly half the job, the first two parts something like a quarter each. Should you hire your architect to supervise construction, that may increase the fee another 15 or 20 percent. Design fees vary tremendously but there is a logic remodeling a modest kitchen, say, will cost less than designing a large addition. The way fees are calcu­lated varies, too, but most designers will work for a fixed design fee, a percentage of construction, or bill on a per-hour basis. The fixed fee is just what the name suggests, an arrangement in which the architect and the client agree to a single price for the job. They also agree on what the job is so if there is a significant change from the original agreement (say, the addition doubles in size or budget), then the fee may be renegotiated. Otherwise, the fee agreed upon on day one should be the fee the client pays. The fee will be a percent­age of the total construction cost, generally 10 to 15 percent in residential construction. The greater the cost of construction, the lower the fee percentage should be. Whatever the method of payment, the designer will want, as mentioned above, the bulk of his fee upon completion of the plans. If you do not plan to involve him in the supervision of the project, he’ll want it all. After all, whether the designer is to be at your side throughout the process or not, he will have done the bulk of his job by the time the finished drawings are completed. 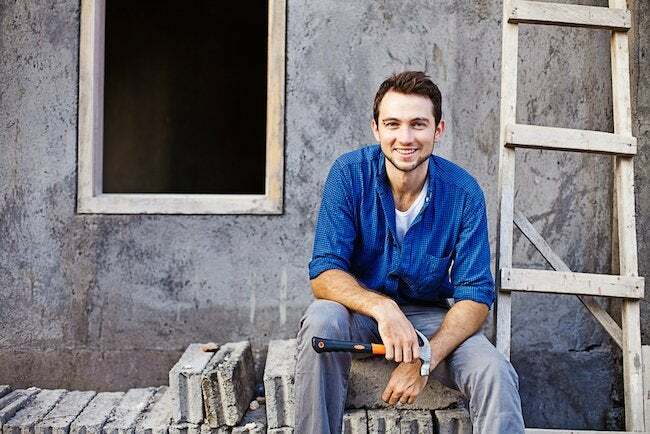 This is perhaps the most common approach in renovation or remod­eling jobs. At your first meeting, you agree to an hourly rate; depending upon the experience of the designer, fees may range from $50 an hour to many times that. If the price is too high, finding a less expensive designer is one answer, though many architects charge a lesser rate for the time spent by draftsmen employed in their offices. If you opt for this arrangement, consider writing two safeguards into your understanding. First, negotiate an “upset price.” You and the architect agree on a maximum fee; further, you agree on an hourly rate. Then he keeps track of the hours required to complete the job. If his hourly wages are less than the upset price, you pay the lower sum, but if they are more, that’s his problem. You do not pay any more than the ceiling (the upset price) you agreed upon at the start. The other safeguard (not only for this agreement, but for any agreement) is a clearly stated payment schedule. You should agree to pay the architect for performance. Perhaps a small payment is due upon signing the contract, another on acceptance of the preliminary sketches, and so on. In this way, the architect gets paid as he works, but you also know exactly what you are paying for. It is common for architects to bill separately for extra expenses. These include reproduction costs (photocopying of blueprints), which shouldn’t be more than a few hundred dollars and, for a modest remodeling job, much less. There may be a fee for the services of a specially trained structural or professional engineer, if required (an unusual design configuration or an addition to an older home that requires the existing structure to bear some of its weight are two circumstances that might call for such a consultation). The prices for engineering services vary greatly, so be sure your architect gives you an estimate up front. Another cost would be to prepare a survey that indicates the boundaries or contours or other aspect of your property; this might be required if you are putting on an addition. As with engineer­ing fees, get an estimated cost from your architect for such a survey before it’s done. Here are tips on how to find and hire the right architect or designer for you. No other profession leaves such large tracks. The work that architects and designers do is hard to hide: buildings, or parts of buildings, draw the eye from far away as we drive or walk by Regardless of whether or not we like what we see, houses are too big to ignore. In the same way, when we enter other peoples’ homes, most of us can’t help but notice our surroundings. We are wowed by what we like, we cringe at what we don’t. Mental notes get made about the dos and don’ts. Often, such everyday means as looking and asking around help us find good designers, architects, and contractors. You see a design you like, and you inquire of the owner of the place whom he or she hired to create the space you admire. You ask for a fair appraisal of the designer’s skill and professionalism. If you like both what you see and you hear, you can call the architect, make an appointment to meet, and get on with it. A personal reference isn’t always so easy, but if a friend, relative, or neighbor has recently had his or her home built or remodeled, ask for an assessment of the designer they used. Chances are you will get an unprejudiced evaluation—they like the result or they don’t, the architect/designer was helpful and responsive or he wasn’t, and so on. Occasionally you will get an insecure response from someone who isn’t really satisfied with what he or she bought but is unwilling to acknowledge it because to do so would be to admit having made a mistake. But generally you’ll get a pretty candid earful, and you may also be able to get a look at the architect’s work to make up your own mind. WHERE DO I FIND A DESIGNER? Ask friends, neighbors, or colleagues for the names of designers or architects’ names. Ask your real estate broker and attorney. The Yellow Pages will surely have some candidates, too, as will the Better Busi­ness Bureau in your area, and you can always check with the American Institute of Architects (1735 New York Avenue, N.W., Washington, D.C. 20006) for the licensed architects in your area. If you admire work in one of the shelter maga­zines, seek the architect cited. Ask around at the local lumberyard. Ask a local contractor for a suggestion, although you may have to discount disparaging com­ments he may make. Architects and contractors are often at odds with one another. Without too much trouble you can get a list. Once you have a few candidates, however, don’t think for a minute you are home free. Now your homework really begins, as not every designer will suit your needs, tastes, and personality. Yet the decision to hire or not to hire should be made only after you meet the designer. Make an appointment to see the designer, either at his or her offices or at your home. Keep in mind this is a preliminary meeting The pur­pose of this first session is not to settle upon a design scheme, sign a contract, or make any final decisions. Plan on talking about your needs and concerns, and trying to get a sense of the person personally and professionally. The meeting will probably take an hour or more. You will need to determine whether you can work with him (or her). If you feel uncomfortable for any reason—perhaps you realize that you’re both high-strung cre­ative individuals and you don’t relish the prospect of hard-fought struggles about every detail—maybe you should continue your search for a designer. You must make a judgment about your needs and the designer’s skills and how your personalities mesh. This hiring decision is, in a sense, the first major decision in what will be a long string of subjective decisions. Yet it may be the most important, because the designer often sets the tone for the work to come. The experience of redesigning and constructing your living space can be immensely satisfying and exciting, and your designer must be a partner in that process. Are you confident that your designer will listen to what you say and try to accommodate your concerns? You will need to trust his judgment, too, so be sure that you feel in your heart as well as in your head that he is well suited to the job at hand. The single most reliable criterion for selecting a designer or architect is his or her previous designs. At the very least, you should review a port­folio of each designer’s work. That will give you the opportunity both to evaluate the designer’s skills and get ideas for your own renovation. If you like what you see in a portfolio, arrange to see one or more of the designer’s projects first hand. Most designers will provide such refer­ences on request and often will gladly take you personally to see a completed proj­ect. If you have the opportunity, talk to the clients themselves. Don’t be bashful about asking questions of the clients. Inquire about the process. How good were the designer’s listening skills? Did he bring good ideas and clever solutions to the process? Was she agreeable to changes along the way? Checking references is sim­ply the best single safeguard you have. Ask the homeowners how smoothly the job went, how flexible the architect was in dealing with the client’s and the contractor’s questions and problems. Did the job come in close to the estimated budget? The architect is unlikely to send you to see work that either he or the customer is unsatisfied with, but you can still learn a great deal in looking and talking. Make sure the architect does a good deal of residential work. If there is only one house but twenty commercial spaces in his portfolio, that should tell you something. Residential work can be very satisfying for an architect, but it is likely to be more time consuming than profitable. Keep in mind that experience is not the only indicator of ability. A young, energetic architect may be willing to do more research and may bring fresher ideas than an old pro with an established, staid practice. But here, again, you must rely on your good judgment. Experience is very valuable but not an absolute prerequisite. Try to determine whether the architect has adequate staff and a workload that will allow for the right amount of personal attention to the project from start to finish. Who will do the actual design work? Expect that the architect will delegate much of the work on the finished drawings to a draftsman in the office, but who will be doing the actual designing—the designer himself or someone in the office? If it isn’t the person you’re talking to, insist upon meeting him or her. Ask the designer how many meetings will be necessary upfront; how many design hours does he anticipate will be necessary? Does the location of the architect’s office make it possible for him or her to be available for consultations? If you plan to involve your architect in over­seeing construction, will he have to travel an hour each way to get to the job site? A long trek back and forth may mean fewer inspections, or perhaps larger, portal-to- portal billings. On the other hand, don’t reject an architect whose work you like simply because of geography. I know of many instances where designers worked from great distances, in some cases never even seeing the work, before, in progress, or after. It’s not ideal, but with a good contractor and a capable designer, it can work. Talk about fees, too, as it is never too early to broach this subject. Find out before the first meeting whether it’s free or if the meter will be turned on as you walk through the door. You probably won’t be able to settle upon a final design cost on day one, but don’t allow the subject to be shunted aside with assurances like, That’s no problem, I’m sure we can work that out. Make sure you have a sense of the total cost. Can I talk to more than one designer? The short answer is, yes, of course. This isn’t exactly comparison shopping—price alone should not determine whom you hire. But keep talking to designers until you find one that seems to suit your job and expectations. If you begin by talking to several architects, pick one you like, and then let him or her create a preliminary design for you. On the other hand, if you have a particu­lar design problem, you needn’t feel shy about turning two or three architects loose, so long as there is a cap on what each architect’s initial presentation will cost. I know of one instance where the owner of a small apartment hired one architect and two designers to create a new kitchen independently of one another. The result was that the architect and one designer came up with workable solutions (the third solution was of no value, in the homeowner’s judgment). And the finished productincorporated elements of one of the rejected designs. If you choose this approach, however, make sure you are very clear with the architects or designers about fees and expectations. When your first meeting concludes, agree upon what is to be your next step. Perhaps you will establish a time for a second meeting. If your first session was in the designer’s office, the next one may be at your home. Even if you have prepared careful drawings of the existing rooms, the architect/designer will probably want to see the space in person and may confirm your measurements. During initial discussions, the designer will attempt to elicit from you what your goals are. What do you expect the remodeling to accomplish? He or she will ask about your needs, budget limitations, and your design inclinations. The purpose is to define in abstract terms the design task—a process architects sometimes term programming, as the result is a program for your design. With the program in mind, the designer can design a structure that satisfies your objectives, working within established limitations, regulations, and other con­straints. Some architects spend relatively little time in establishing the generalities of the problem; others like to invest more hours in generalized discussion. But once the designer has a clear idea of what you want and a basic familiarity with the struc­ture to be remodeled, the visualization can begin: schematic drawings that illustrate the scale and interrelationship of the various components come next. Follow these guidelines when reviewing designers' preliminary sketches and plans. Different designers have different working styles. Some take the let’s-go-for-it approach, and their initial sketches are surprisingly detailed and worked out. Many designers, however, take it one step at a time. Their early sketches are abstract, typically rough pencil jottings meant to suggest an approach that is not so much visual as intellectual. If your architect begins with rough drawings, you will see little sense of style, dimension, or even shape but will be asked to think about the doodles as representing in a thematic way the nature of the space you are building the traffic patterns through it, and the relationships of the spaces within to one another. On the other hand, if the paperwork you gave your designer clearly spells out your desires, he may arrive with drawings that are recognizable as floor plans and even elevation draw­ings and perspectives. Then the discussion can focus in on the details much sooner. Whatever his or her approach, your designer will probably want to sit down and review the early plans with you. The designer-architect will explain his intent in executing the design as he has, and discuss with you any reactions you have. If you’ve given him your sketches or notes, what he gives back to you should be familiar. If at first you don’t see in his drawings what you expected to see, focus on what is different. Is the designer’s vision better in some ways but not in others? Ask your architect to explain to you his rationale for what he has done. In part, the point here is to be open-minded. You must give your designer the opportunity to respond to the task you’ve assigned her. Pay her the courtesy of listening to her as she did you. Your architect will have taken your materials and will have absorbed what you said. She will have applied her own training, experience, and instincts. Even if at first you don’t like what she has done, give it a chance. It is also very important to inquire about anything you don’t understand. These should probably look familiar to you. You’ll see elements from your existing house you recognize. Even the new parts should, at least in part, reflect your ideas and wishes. If the first sketches do not look like what you were seeing in your mind’s eye, try to look through whatever details of finish that the designer has contributed. Do you see the same shapes and relationships you dis­cussed earlier? If there has been a major departure, ask why. Ask yourself if the design answers your needs: If not, say so. It’s a good idea for you to live with a set of the preliminary sketches for a day or two before giving your designer your formal response. Have others in your house­hold study them, too. The architect or designer will no doubt take notes on your reac­tions as he shows them to you and as you express concerns about the size of this or the absence of that. However, almost invariably your response a day or two later is more reasoned, thoughtful, and complete than at the moment you are first confronted with new shapes and thoughts and visions. It creates headaches for everybody to have friends or relatives kibitzing (“I wouldn’t do it that way if I were you.”), but if you are not confident of your feelings about how the plan is emerging, you may wish to involve one outsider whose tastes are compatible with your own. Take care not to let that person dominate you. It is, after all, your house that is to be renovated. When you do discuss things with your designer, have written notes to guide you. An elaborately typed and phrased letter is unnecessary, but having a carefully assembled list is important. That way you won’t forget something, and you will have an idea of the number of issues you are raising. You may even dis­cover before you talk with the architect that there is a pattern to the problems so that one general overall comment can be made that covers a number of smaller issues. Be candid with your architect. Don’t get personal if you really dislike some­thing, but be frank to say it doesn’t work for you. If it doesn’t work at all, say so, but at the same time be sure your response is a fair one. Just because it isn’t what you expected doesn’t mean it’s bad. It could be better than your original notion—after all, you have hired a professional to do the best job she can, and maybe with her training and experience she can see things you could not. Give the drawings fair consideration. Be as articulate as you can about why you’re not satisfied. The more specific you can be about your objections, the more likely it is that he will be able to make the changes you want in the next set of plans. As you consider the plans, think about the lives and schedules and habits of the people who will be living there. Imagine yourself in each doorway, seated in every corner. What do you see, in the room, out the windows, looking down the hall­ways? Oh, and one other thing: If you do like what you see, don’t hesitate to say so. Designers like approval just as much as other people. How many sets of plans will you see? The earliest drawings will be the most generalized and are as much for discussion as anything. It may take one or many sets of rough sketches before you are satisfied with the direction the building is going. But once you are confident with the overall approach, it’s time to go on to preliminary plans. If you see several sets of preliminary plans, each set should have more detail than the last and should incorporate the changes you discussed in the previous ver­sions. 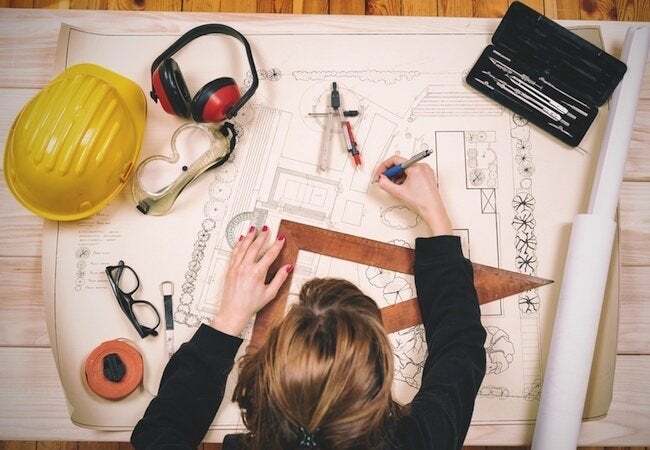 However, before the preliminary plans give way to the final plans and specifi­cations you should get your architect’s best estimates of the total cost. It is never too early to talk about budget (construction budget rather than design fee), as your architect should know from your first session what your financial range is. But at this point it is realistic to get specific about costs. By this stage, the “working systems”—the electrical, plumbing, heating and air conditioning systems—enter the picture. Specific materials, too, are useful at this point. Doors, windows, wall coverings, and so on factor in here. It is also at this stage (if you are putting on a major addition) for your architect to prepare “outline specs” (preliminary listings of materials and instructions used for purposes of esti­mating). Some clients or architects will ask a contractor to join in at this stage. A contractor can be useful at this time for estimating purposes. In addition, he may be able to offer some hands-on solutions from personal experience to certain problems, solutions that your architect might not offer. A last act you should perform before instructing the architect/designer to go off and execute the final plans is to study the last set of preliminary plans one room at a time. Be sure you understand what is being done for you. If you get a sketch from your architect and you aren’t sure what that 8-by-12-foot bedroom he has drawn really is like, measure a similar room or rooms in your house to get a sense of what it would be like enlarged or shrunken to 8-by-12. Ceiling heights, too, should be seen and not merely imagined. If you are con­sidering a towering 20-foot ceiling, find one and experience it. You may discover that 12 feet is just as dramatic, or that the floor space in the room you are planning is dwarfed and you feel like you’re in an upended shoe box rather than a palace. Make sure your furniture fits. Check the location of every light fixture and every plug; are there enough of them? Again, imagine yourself living in the space: Does it all seem to be as you want it? These large pieces of paper are, finally, what you are paying your architect for. The drawings should be fully dimensioned—they’re the map the contractor will follow in executing the work. Review the set of plans carefully before you sign any construc­tion contracts. Make sure it is consistent with the last version you saw, and that the corrections you asked for have been made. Make sure you understand everything. You will cost yourself money later when you want something changed that you, out of ignorance, let pass at an earlier stage. Even substantial changes are relatively inexpensive before the contracts are signed and the hammers begin to swing. The sample drawings reproduced here will give you some idea of what to expect of the final plans. Second elements of the plans are the specifications or spec sheets. These are detailed descriptions of the materials to be used. Often these days spec sheets are long, formatted lists that came with the designer’s CAD program with a few added wrinkles peculiar to your job slotted in. Construction methods may also be specified. Taken together, the plans and specifications will enable your contractors first to estimate accu­rately what it all will cost and then to construct what has been so laboriously planned. The spec sheets also require your close attention. They should specify a lot of details about required materials about which you may have strong opinions. They’ll cite everything from the brand name and model number of kitchen appliances to the thickness and quality of the plywood to be used for subflooring. Spec sheets will often specify decorative items like doorknobs, the maker and kind of paint, and mold­ing sizes and profiles. In examining spec sheets, look, for example, to see if the new windows in your addition are true divided lights like the old ones are; whether the new bathroom fix­tures are good quality brand-name models or just cheap knockoffs. If you don’t under­stand the shorthand, ask questions. Make it your business to know what the spec sheets say—after all, the numbers and abbreviations describe what you are buying. Not that you have to simply accept what’s there. In fact, you will find a new use of the words or equal in the specifications. Also called allowances, “or-equal materials” are typically finish materials like carpeting, light fixtures, or tile. The appearance of the term “or equal” means that if you don’t like one of the items listed on the spec sheets, you may substitute something else. The term also implies that you may do so at no cost if your new choice is priced the same as (and thus is equal to) what was specified. Keep in mind, however, that the allowances specified are usually not top-of- the-line goods. Thus, if you substitute a more expensive set of lighting fixtures in your kitchen for the basic ones specified, your cost will go up from the original estimate. As you review the plans, remember that it’s caveat emptor, let the buyer beware. You should have a meeting with your contractor before signing a contract to answer your questions and concerns, so go through the specs line by line in advance of the meeting and make a list of your questions. Look, too, for the abbreviation “NIC,” which stands for “not in contract.” That means that if you’re adding a laundry room and the spec for the washer and dryer says NIC, they’re not included in the estimate. They’ll be your cost, not the contractor’s. Faucets and light fixtures are a perennial source of friction between home­owners and designer-builder teams. The story usually goes this way. The customer explains to the designer what he wants in, say, his new master bath. Sketches and then working drawings are executed, a contractor is hired, and the work begins. The job is nearly done when the homeowner discovers to his chagrin that the faucet, the showerhead, and the sconces are inexpensive and unattractive. He complains to the contractor, and together they refer back to the specifications. Sure enough, the homeowner is getting exactly what the paperwork specifies. “But they’re not good enough,” he complains, “I want something better.” The contractor says, “Fine, you’re the boss. 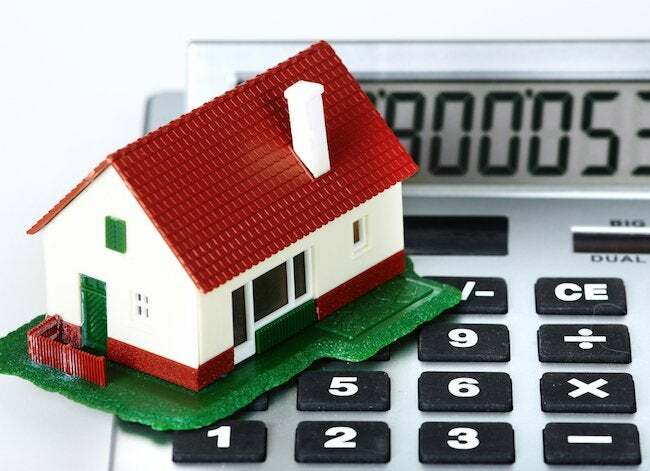 The ‘or-equal’ clause in the contract entitles you to substitute something of equivalent value.” Then the homeowner discovers what he wants will cost two or three or even ten times as much as what was specified and that he has to bear the additional cost himself. It’s happened a million times and will happen again. How do you avoid it? Think about details that are important to you, and make sure your designer and con­tractor are sensitive to your concerns. Explain your expectations for the level of quality. Then examine the specifications extra carefully. Some people decide to do some of the shopping and provide fixtures or other components themselves, excluding them from the contract. This can work, but you need to be sure you coordinate well in advance with the contractor and the subs. If something you want doesn’t arrive in time, you may find your job delayed or more expensive. Finding and hiring the right people to help do the job is crucially important when it comes to remodeling work. I’m not sure I agree with Adler’s reasoning. But I do know that hiring well is one of life’s key skills—and a crucially important one when it comes to remodeling work. 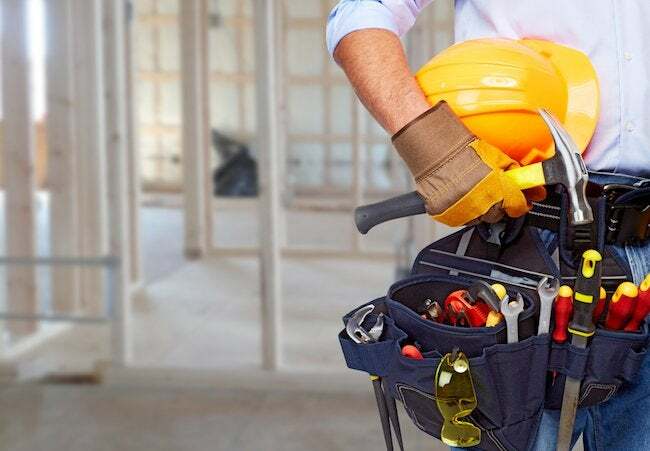 The right contractor can make the process go smoothly with a minimum of disruption to your life, while the wrong one can cost you money, peace of mind, and leave you with an unsatisfactory result. While the timing varies, sooner or later you’ll need to shop for a contractor. Or, perhaps, for several subcontractors. 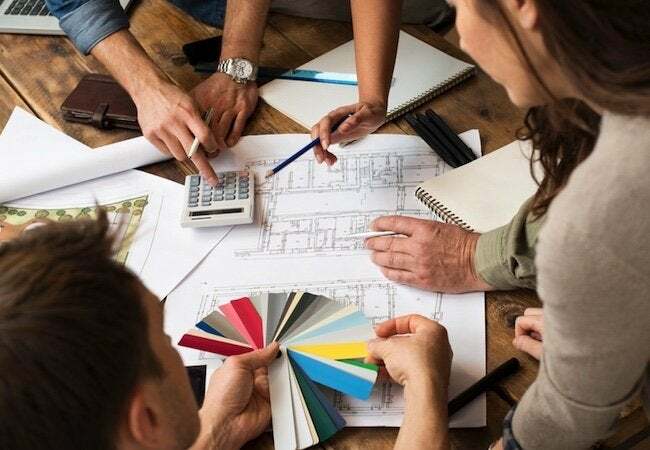 You or your designer may invite the partici­pation of builders during the planning stages or you may decide to wait until the plans are completed. That’s a judgment call best made jointly by you and your designer. If you’re working on a strictly limited budget, earlier consultation with a contractor to get estimates may help keep the focus on cost control. On the other hand, fewer inhibitions during the design stage may lead to more creative solutions to your particular remodeling if budgetary constraints allow. Supposing that the time has come to find a contractor… who conducts the search? Many architects will be happy to run interference for you. They can handle the finding, hiring, and estimating. The argument for this approach runs like this: If your architect does it, he or she will save you time (if he’s minding the store, you don’t have to). He knows whom to call to get quotes on a job. He may be able to get services and attention you would not since he can offer contractors consideration for future jobs. Since his business regularly involves soliciting and reviewing bids, he should know what to look for. He’s negotiated building contracts before, and has probably spent many hours resolving disagreements—since they are inevitable, his help may be valuable. He can inspect along the way. He can help decide on the inevitable small changes that occur in the course of construction. He can serve as a valuable buffer between you and the contractor. If this sounds ideal, talk it over with your architect (or designer, though not all designers have the training and experience to perform all these services). Under­stand, however, that you will have to pay your architect a substantial additional fee. These additional services are not free. Supposing you decide for financial or other reasons that you won’t be hand­ing over the reins to your architect, an alternative is to leave the supervision to the general contractor, whom we will meet shortly. Or you can be your own general con­tractor. Yet another option is to hire a construction manager. But before you decide which path to take, let’s take a closer look at the other players in the construction process. Copyright © 2019 Bobvila. All rights reserved.